This has put the company in a tough spot, but its extensive R&D capacity really makes it a desired target for acquisition. Over the past few years, there has been a lot of talk about such buy-outs, most recently Mediatek was cited as a prospective buyer, but none of the plans has actually stuck. A new rumor now hints that Samsung might have its sight set on the struggling semiconductor company. The benefits of such a deal could potentially be plentiful for both sides. Samsung would acquire a lot of know-how and research potential. Not to mention a formidable portfolio of patents that AMD has acquired throughout the years. The Korean tech giant has been doing really well with its custom Exynos chipsets recently and the latest Exynos 7420 model has shown such huge potential in the new 14nm realm that the company might, quite justifiable, decide to start offering in to third-party companies. The reality, however, is that, while the Exynos chip has managed to crush its competition in terms of performance, it is still based on off-the-shelf ARM technology, namely the Cortex-A53, Cortex-A57 and Mali-T760 MP8 CPU and GPU. In the meantime, competitors, such as Qualcomm and Intel have custom chip designs of their own, which could give them an edge down the road. With the help of AMD, Samsung cane remedy this and perhaps entirely shake itself off from the dependence on Qualcomm or generic ARM technology. And then, there’s AMD. 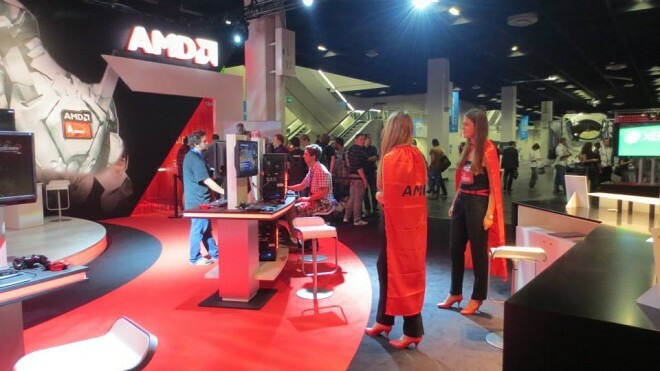 The sad truth is that, if such a buy-out does eventually occur, no matter what the other party is, AMD has one main thing to gain – much needed financial support. Samsung could be the company’s ticket back to the major leagues and a potential investment in mobile graphics research, could even allow AMD to license chips to third party vendors, other than the Korean giant down the road. On the flip side, though, there is the matter of AMD’s current z86 business. Samsung appears to have little use for it, judging by the company’s withdrawal from PC markets in recent years. Of course, this does not necessarily mean that AMD will completely sack its PC CPU and GPU units and most likely the chips will remain in production by third party manufacturers. But the buy-out might lead to a refocus of effort and potentially hinder development of new technologies on this front. In any case, the possible scenarios are numerous and without any official word on the matter we are entirely in realm of speculations.